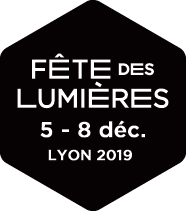 Would you like to be a part of the artistic programme of the 2018 Festival of Lights? from Monday to Friday, from 9 to 12 a.m and 2 to 6 p.m.
By registered post with acknowledgement of receipt / or by courier. The deadline applies to the date and time the project is received (and not the postmark). Remember to allow extra time for public holidays! Electronically, although this does not involve sending your application by email! Applications must be received before the end of 14 May 2018. Don't forget to include the balanced forecast budget.